Active Money Personalities is written on behalf of understanding habits and discovering reasons why you do what you do. This curriculum paves the way for new ways of thinking that include compassion and mutual regard while providing communication practice and skills to build a budget. 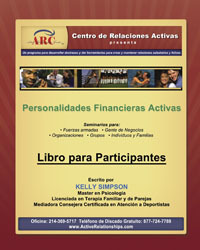 Active Money Personalities is intended to enhance successful attitudes and teamwork.